Ever wondered what our universe sounds like? 2. There’s a good chance that, if you were floating about in space, you’d be dead. Such pesky details aside, it is indeed possible for scientists to simulate the sounds of space by translating radio emissions and other signals into sound waves. The sounds they create can be jarring, eerie, and often strikingly beautiful. So put on some headphones, tune in, and space out to the music of the cosmos. While it may sound like birds and bugs whistling in a dense rainforest, the “chorus” is actually radio waves in Earth’s magnetosphere caused by electrons spiralling speedily through the Van Allen radiation belt. The signals are captured by instruments on the Van Allen Probes, a pair of satellites orbiting Earth since their 2012 launch. It was the chirp heard around the world. In 2015, LIGO detected the collision of two black holes, sparking the dawn of gravitational-wave astronomy. The team converted the signal from the gravitational waves into sound waves and, to make the chirp more distinct, raised the pitch so we could all hear the soundtrack of a 1.3-billion-year-old cataclysm. Astrophysicist Janna Levin played the chirp and explained its significance in her 2017 Perimeter Institute Public Lecture. 1 hour but very cool. Staring at the Sun is a very bad idea. Listening to it, however, is pretty cool. The Sun regularly belches emissions of charged particles and electromagnetic waves as solar flares, which can cause auroras and garble radio transmissions. Amateur astronomer Thomas Ashcroft captured the audio implications of one such flare in 2013. In this clip, you can hear a human radio transmission (likely ham radio) suddenly drowned out by the whoosh of interference from a solar flare. You must access the full article to hear this example of The Sound of Solar Flares. In 2011, as NASA’s Stardust spacecraft zoomed past the comet Tempel 1, the instrument’s protective shield was hammered by dust and other debris from the comet. The spacecraft’s Dust Flux Monitor Instrument captured sound and electrical impulses from the onslaught. The clip below conveys just a fraction of the full bombardment, which resulted in more than 5,000 impacts over 11 minutes. Click to watch and listen. Neutron stars are among the universe’s most extreme, fascinating objects (and here are a bunch of reasons why). Some neutron stars emit beams of electromagnetic radiation as they spin, like the beam from a lighthouse pulsing at a certain frequency (hence the name “pulsars”). When converted into sound waves, these pulses can sound like the rat-a-tat of a distant drum or a high-speed whirling hum. Victoria Kaspi of McGill University played some of this “music of the heavens” in her 2016 Perimeter Institute Public Lecture. When two black holes circle one another, drawn ever-closer in a grand gravitational dance, they squeeze and stretch the surrounding space in a way that would vibrate your eardrum and allow you to hear it (if you were nearby, and somehow remained alive). During her 2017 Perimeter Public Lecture, Janna Levin played several simulations of the sounds you might hear from two black holes twirling toward a merger. Because neutron stars are so compact and gravitationally intense, they are ideal guinea pigs for testing how theories of gravity fare in extreme situations. Perimeter postdoctoral fellow Nestor Ortiz and collaborator Raissa Mendez studied neutron star pulsations to test the prevailing theory of gravity, Einstein’s general relativity, against a modification called scalar-tensor theory. They found a new family of oscillation frequencies that are not predicted by Einstein’s theory – an intriguing development that may necessitate modifications to general relativity if the oscillations are detected experimentally. The researchers created audio simulations that, while not particularly melodic, clearly demonstrate the differences between models. In 2003, using data from the WMAP mission, University of Washington physics professor John Cramer released what could be considered the universe’s debut single. A decade later, with data from the European Space Agency’s Planck mission, he put out a remastered version. What you hear is, in a sense, the entire universe – a sound simulation of the first 760,000 years after the big bang, when the universe was dense enough to carry sound waves. The pitch gets lower as the universe expands and becomes less dense. The first computer algorithm. Stellar classification systems. The discovery of new elements, forces, and other building blocks of nature. Such fundamental discoveries have shaped our understanding of the universe and ourselves. Many were made by women who pursued their research in the face of gender discrimination and did not get the recognition they deserved. Women have been historically under-represented in physics; progress is happening, but there is much work to be done. Systemic and cultural barriers still exist. Part of making positive change includes celebrating the contributions women have made to science, especially those women overlooked in their time. That’s why Perimeter Institute has created the “Forces of Nature” poster series. Download them. Print them. Share them. Post them in classrooms, dorm rooms, living rooms, offices, and physics departments. Talk about these women. Share their stories. Downloading is free – just click on the images below, fill out the short form, and we’ll email you hi-res images that can be printed as large as 24” x 36”. Women have made some of the most important discoveries in science. Ada Lovelace was the first computer programmer. Chien-Shiung Wu was a leading experimental physicist of her time. Emmy Noether’s work in symmetry and conservation underpins much of modern physics. Annie Jump Cannon led the development of stellar classification systems. Marie Skłodowska Curie made revolutionary contributions to physics and chemistry. These women were forces of nature. 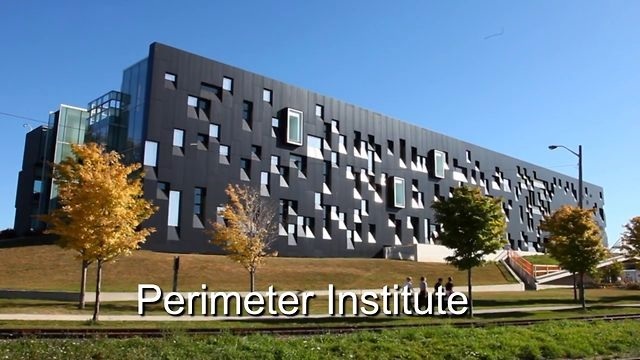 Three exceptional young researchers are set to join the faculty of Perimeter Institute, where they will bring new expertise to efforts to better understand, and one day exploit, quantum effects and condensed matter. Beni Yoshida – a former Perimeter postdoctoral researcher and “It from Qubit” Simons Fellow – is already at Perimeter. He will be joined in spring 2018 by Timothy Hsieh, currently a Gordon and Betty Moore Fellow and associate specialist at the Kavli Institute for Theoretical Physics, and Yin-Chen He, a Gordon and Betty Moore Fellow at Harvard University. All three study various aspects of condensed matter, which is being widely pursued as a solution to many challenges, from computing limits to efficient energy transmission. Together, they will lead the Institute’s new Quantum Matter Initiative. Perimeter Director Neil Turok described the appointments as a coup for the Institute, providing a leap forward in condensed matter research, one of the fastest-growing areas of physics today. Yoshida studied and worked at MIT, and Caltech before coming to Perimeter in 2015. A specialist in quantum information theory, condensed matter, and black holes, his current work focuses on topological orders and quantum chaos. For Yoshida, the transition from postdoctoral fellow to faculty member promises exciting potential not just for his research but also for future collaborations. His research lies between three fields – quantum information, condensed matter, and string theory – all of which are represented in Perimeter’s faculty. “This field is relatively young. There are many brilliant young researchers and it’s a very energetic field. I want to bring more of those young talents here,” Yoshida said. Hsieh studied physics and mathematics at Harvard before earning his PhD in physics from MIT in 2015. A prediction he co-authored in 2013 – that a material called tin-telluride is a topological crystalline insulator – was experimentally confirmed by multiple groups and has spawned significant theoretical and experimental interest in its phenomenology. Hsieh said he was looking forward to exploring quantum materials, entanglement, and dynamics in Perimeter’s interdisciplinary environment. Yin-Chen He is a condensed matter researcher interested in spin liquids, topological phases, and topological phase transitions. He received his PhD from Shanghai’s Fudan University in 2014, and prior to moving to Harvard in 2016, worked at the Max Planck Institute in Dresden. “PI and I share a mutual interest in doing original, path-breaking research rather than following the main trends of the field,” He said. The Power of Ideas tour is winding its way across Canada to inspire the next generation of hackers, makers, doers, and thinkers – no matter where they live. Sarah Hart knows the price of isolation. For years, her family has regularly made the long trip to Edmonton so Hart’s sister, who has cystic fibrosis, can get the advanced medical treatment she needs. With such personal exposure to the importance of modern medical technology, it’s no wonder Hart wants to pursue biomedical engineering after she graduates high school this year. What might surprise people is that she wants to do it at home, in Yellowknife. Hart has big ambitions, but they’re not out of place up here among the frozen lakes and fluttering ptarmigans. Spend any time exploring Canada, and you’ll quickly realize that innovation is a survival skill in the Great White North. So when the Power of Ideas tour mapped out its destinations for the country’s sesquicentennial year, there was no doubt it would venture well above the 49th parallel. The Inuit created the world’s first sunglasses to prevent snow blindness. Block-mounted heaters today ensure your car engine starts at 40-below. The asphalt ends, so an ice road begins. You see a problem, and you find a way fix it, whether it’s keeping your toes warm or solving complex issues of medical access. Innovation isn’t a buzzword; it’s an essential part of the human character. The trouble is, most innovation stories focus on the end result – the disruptive new technology, the social breakthrough, the billion-dollar success – when the driving force of innovation is the process that leads to that point. Innovation isn’t a destination: it’s a process, one that can be learned and honed, and which anyone can be a part of. The Power of Ideas travelling exhibit is sharing this message with thousands of students through 2017 as part of Innovation150. The tour is visiting 60 communities, most of them in under-served regional and remote areas. Alongside it, educational outreach organization Actua is running a Maker Mobile that enables students to grapple with challenges in science, technology, engineering, and math. The goal is to inspire Canada’s next generation of hackers, makers, doers, and thinkers – no matter where they live. Abbey and Cobain Roos train their telescopes on a distant galaxy in the EHT demonstration. The tour focuses on middle- and high-school students, but some stops, such as the visit to Yellowknife in early March, also include a public event open to all ages. École St. Patrick physics teacher and science department head Thana Rahim hopes the year-long project continues to resonate throughout rural and remote Canada long after the sesquicentennial. It’s not just the students who are gaining a deeper insight into innovation in Canada. Four presenters – whose backgrounds range from physics to marine biology to neuroscience – are travelling across the country, delivering the Power of Ideas talk and leading demonstrations in the science exhibit. The experience has prompted them to redefine their own understanding of what innovation means to them, and to Canada. As Actua facilitator Lauren Sortome, who at 22 is not much older than the students participating in the Maker Mobile projects, pointed out, the cumulative picture is incredibly bright. “Being on this tour as part of Innovation150 makes me just realize all the potential in all these youth, all the ideas that they have, and how willing they are to put them to use when given the opportunity. We’ve seen some amazing innovations,” Sortome said. Bishal Yadav didn’t need any more incentive to study science – he hopes to pursue aerospace engineering or astronomy after he graduates this year – but having the Power of Ideas visit his hometown made his dream feel a bit closer. Leading that charge will be the Canadian teens and tweens who will get their chance this year to play with the Event Horizon Telescope and Large Hadron Collider demonstrations in the Power of Ideas exhibit, to formulate string theories with Perimeter Institute’s mystery tube, to learn about electrons as they play with the plasma ball, and to make their own weather stations in the Maker Mobile.